The A-44 project was initiated by the Kharkov KB-24 construction bureau, under the supervision of famous Russian tank designer, A.A.Morozov. Morozov himself worked on the project to improve the T-34 tank (the A-43), but was always wondering, whether the armament of the medium tank could be improved even further. The basic idea that led to the development of the A-44 was: if you equip your heavy tanks with the same armament as your medium tanks (or rather, with the guns taken from the medium tanks), they lose their combat worth. Consequently, if you manage to equip a very light tank with a very powerful gun, it becomes a rather cheap to produce, but very dangerous enemy (the same line of thinking actually led to the German development of light tank destroyers, which proved to be rather effective). And so the idea was born to equip the A-43 suspension (that could withstand bigger loads than the T-34 one) with a sleek hull and the 107mm F-42 gun, or with the 57mm ZiS-4. The 57mm was probably the most suitable gun, because it was basically a re-worked 76,2mm F-32, with longer barrel and a different breech. The F-42 gun, developed by F.Petrov’s bureau, was probably more suited for heavy tanks, it was big and had a long recoil, but even so, according to Morozov’s calculation, the weight of the vehicle wouldn’t be over 34 tons (the armor was counted on to be cca 45mm). 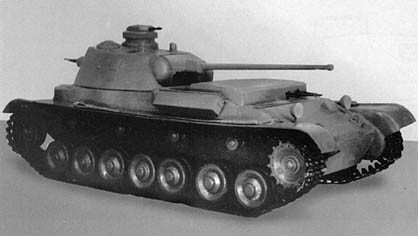 Results of firing tests of captured German guns were also taken into account and in March 1941, after seeing Morozov’s tank idea, it was decided to develop such a vehicle under the designation of A-44 (sometimes T-44, but do not confuse this tank with the ingame tier 8 T-44, they are not related). The technical documents for this tank mentioned two variants: a “faster” and a “slower” one. Both variants were to weight around 35 tons, with the “faster” having 75mm and 65mm frontal and side armor, while the “slower” had up to 120mm frontal armor and 100mm armor on the sides. The projected speed was to be somewhere between 50-55km/h. Three guns were considered: the 57mm ZiS-4, 76,2mm F-34 and 107mm F-42. In the end, it was decided to implement only the 57mm one. In order to archieve all this, the vehicle had to be designed unconventionally – with the turret in the back. In the frontal part of the vehicle, there was the transmission and steering mechanism, the engine was in the middle and the crew as in the back. The suspension was (just like with the A-43) solved by implementing torsion bars, the vehicle had 7 roadwheels, 4 idlers and the frontal wheel was propelled by the engine. The preliminary project was ready on 20.4.1941 and in May, a 1/10 scale model was built and introduced to the mock-up committee. It was basically approved and there were plans to build a prototype by 1942, but as with the A-43 project, the war intervened: the Kharkov factory was evacuated to Nizhny Tagil and lots of valuable stuff was lost. In the light of changed wartime priorities, the development of this project was scrapped soon after. The project was begun in April 1941. Development was led by I. S. Behr, lead engineer of Plant No. 183. Three different versions of the vehicle were proposed, varying in armor, armament, combat load, and speed. The estimated production date for the prototype was early 1942. However, when the German invasion forced the evacuation of the facility, development was discontinued. It’s hard to say, how exactly will Wargaming implement this tank. 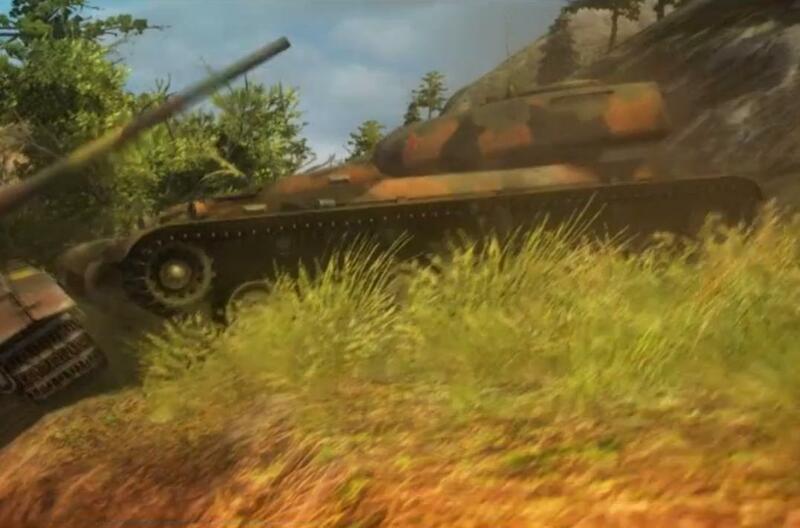 It could really be anything, but since the following vehicle is a light and rear-turretted tank too, my bet would be that WG will simply opt for the lightly armored variant and make it similiar in gameplay.